The junior graphite market changed dramatically at 4pm on December 19th. 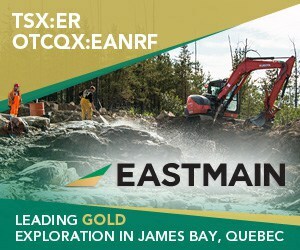 That’s when industry leader Focus Graphite Inc. (TSXV: FMS | OTCQX: FCSMF) made graphite-industry history with the announcement that the company has formally entered into an offtake agreement for future graphite production from its 100%-owned ultra-high-purity, technology-grade Lac Knife Graphite Project in northeastern Québec. The announcement effectively transitions Focus from a graphite development company to a graphite production company. With the achievement of the company’s most significant milestone to date, Focus is positioned to become one of lowest-cost graphite producers in the world. As most InvestorIntel readers and graphite investors are aware, Focus’ Lac Knife deposit is one of the highest-grade, large-flake natural graphite deposits in the world and ‘technology grade’ graphite commands the highest market prices. The 10-year strategic agreement — for up to 40,000 tonnes per year (400,000 tonnes total) of graphite concentrate — was signed yesterday with a Chinese-based industrial consortium, comprised of heavy industry, manufacturing and technology companies (located in the port city of Dalian, Lianing Province, China; one of the China’s most important centers for trade and industry, and home to many of the world’s high-tech companies). This means, China is slated to consume over 90% of Lac Knife’s planned 44,200 tonne per year production, modeled in Focus’ recently revised Preliminary Economic Assessment. Yes, you read that right — China. Focus’ visionary CEO Gary Economo and President and COO, Don Baxter, have been quite clear when discussing China’s ongoing transformation from an exporting economy to a consumption-led economy and how that will have an enormous, positive impact on emerging flake graphite producers — especially for companies like Focus that have structured their business models to capture high-value contracts. And with the completion of yesterday’s agreement, Focus proved, once again, that management has the ability to effectively execute its vision. An offtake agreement is one thing – and tremendous in its own right. However, a massive offtake for the overwhelming majority of proposed annual production — for China — is entirely another. 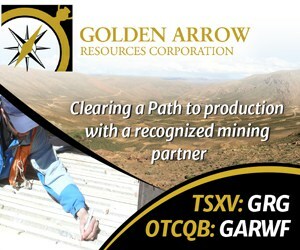 This offtake agreement truly is an incredible accomplishment and may potentially speak volumes for Focus Graphite’s future, especially when one considers that Mr. Economo and company were able to execute the agreement prior to completing Lac Knife’s Feasibility Study (currently underway and expected to be completed during the summer of 2014). With graphite, the larger the flake size and the higher the purity, the more the graphite is worth. And in the graphite business, grade, quality and costs (with the emphasis on costs) are critical to success. Focus’ high-grade purity results translate into more high-growth applications and very cost-effective purification processes and have positioned Focus to assume a low-cost leadership position in the industry. As future graphite demand increases, driven by green technologies (including lithium-ion batteries, electronics, nuclear, defense, construction materials, etc. ), Focus will be there to address the need for technology-grade graphite (it is estimated that as many as 25 new graphite mines will be required by 2020 to meet graphite demand). Due to space limitations in this article, I won’t touch upon the ‘graphene revolution’ aspect of the graphite industry and, as importantly, graphene commercialization. 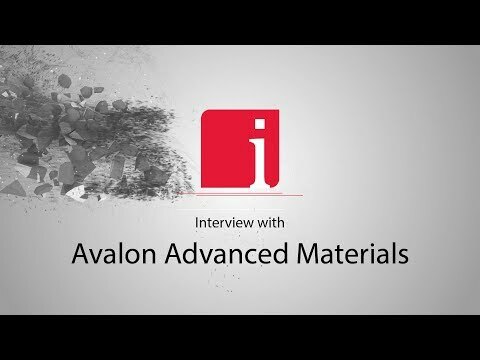 That said, it should be noted that Focus Graphite owns a portion of the incredibly promising Grafoid Inc. (and it’s patent-pending MesoGraf™ suite of high-energy density graphene) — a company led by Gary Economo and graphene expert Dr. Gordon Chiu — and, through Grafoid, Calevia Inc. Calevia is a Grafoid joint-venture partnership working with graphene-based nanotechnology to eradicate cancer cells in a non-invasive manner. In other words, FMS is a multi-dimensional, forward-thinking company with significant upside potential. With Lac Knife’s low CAPEX and OPEX, Focus Graphite will be among the lowest-cost producers in the world and, as such, have the ability to compete head-to-head with any graphite producer in any market. That is a powerful statement to make; however, Focus has worked diligently to achieve the requisite key project economics to back it. And with the announcement of the company’s completion of its first offtake agreement, Focus Graphite has clearly separated itself from all other flake graphite juniors. I am so excited about this amazing news and happy to be a Focus supporter. Great article, but even better news, sharing now and Merry Christmas. Congratulations to Focus and Merry Christmas. Total production per year is more than 44,000 tonnes as stated in your article. I think its more like 300000 per year. Its concentrate supply . sorry misread. Hi Faye. Thanks for commenting on InvestorIntel. You must be very proud! We all appreciate the important contribution being made and look forward to many more exciting things to come. The graphine race is definitely on and both Focus and Lomiko are deeply in the hunt albeit from different points of view. It will be interesting to see these two well managed companies develop.